Just hours before the polls closed Tuesday at 10 p.m., many pundits noted the vote in many Arab communities was at a historic low of around 50 percent compared to 66% across the country. A look at the turnout in different locales and the vote breakdown reveals major differences from north to south, and across demographic and religious lines. A preliminary analysis based on the data available Wednesday allows for a review of 16 cities, towns and villages across Israel where are a majority of the population is either Muslim, Druze or Christian. Druze in Israel tend to vote for Zionist parties as opposed to Hadash, Balad, Ra'am and Ta'al. In this election, Hadash ran with Ta'al, and Balad and Ra'am ran together. Blue and White and Meretz both included Druze candidates on their lists in safe spots meant to assure they would enter the 21st Knesset. While in the past Yisrael Beiteynu and Likud have had Druze MKs, Likud's Ayoob Kara was not in a realistic spot. Akram Hasson, who is Druze, was number seven on Kulanu's list while Hamad Amar was number six on Yisrael Beiteynu. This meant that Druze were more likely to support these parties. The Druze town of Isifiya, with 8,900 eligible voters, primarily voted for Blue and White (47%), Kulanu (12%) and Meretz (11%). A look at several other Druze towns such as Beit Jann reveals Meretz performed well, while in Yarka the Likud party received 35% of the vote. 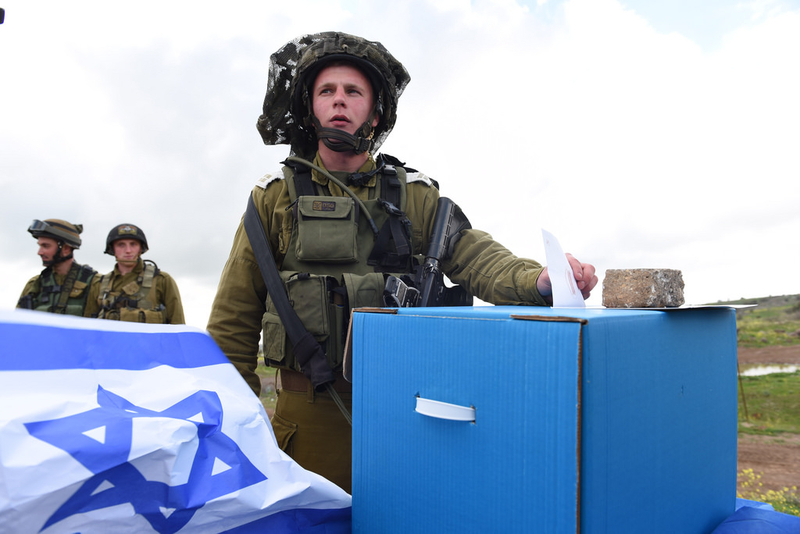 In the Golan Heights, the four Druze villages voted for Blue and White and Likud, although turnout was very low. In Majd al-Shams, for instance only 17% of voters turned out. Meanwhile in Bedouin towns in the south, Balad-Ra'am performed well in almost all of them. This was likely because Talab Abu Arar, a member of Ra'am, was on the list. For instance in Rahat the turnout was 49% and the Balad-Ra'am list received 48% of the votes. Hadash-Ta'al came in second, and Meretz received only 7% of the vote. In the Bedouin community of al-Said, Shas received 30% of the vote, a surprising number for a Jewish Orthodox party. In Shibli, a Bedouin town in the Galilee, Blue and White came in second with 24% of the vote. Some residents of Shibli volunteer to serve in the IDF. Across many Christian community and mixed towns with a large Christian minority, such as Shfa'amr, Abu Sinan, Jish, Kfar Yasif and Ailaboun, Hadash was the main winner. For instance in Kfar Yasif, where turnout was 60%, Hadash grabbed 68% of the vote. In Ailaboun, Hadash received 46% while Blue and White got 20%. Jish showed the same pattern, where Blue and White got 15% and Hadash got 44%. Across Muslim communities such as Taibe, Umm al-Fahm, Abu Ghosh and Jisr al-Zarqa, different circumstances combined to lead to different results. For instance, in Umm al-Fahm Hadash received more than 80% of the vote. In Jisr al-Zarqa, the poor community near Caesarea, only 21% turned out to vote and Shas, surprisingly came in third. In Abu Ghosh beside the highway to Jerusalem, Blue and White and Meretz also came in with 18% and 16% of the vote. In general, the vote in most Arab towns and villages was split between Hadash-Ta'al and Balad-Ta'al, with the Hadash list usually outperforming the Balad list. In most cases Meretz received a handful of votes, coming in with around 5% of the vote. This shows that in most Arab communities in Israel there are few voters selecting Zionist parties. However there are exceptions. As noted above, in Christian towns and villages the breakdown tends to be more complex. The third member of Meretz's list is Issawi Frej, who comes from Kfar Qassem. Meretz received 38% of the vote in Kfar Qassem. Overall turnout in the minority communities varied widely. In Christian communities that tend to be more middle class, voter turnout was higher than Muslim communities. But it's difficult to conclude that this was a clear trend. In both Muslim towns the turnout was over 60%, which was higher than average. What is clear is that these communities generally do not vote for Labor or Likud, the two historic parties of Israeli politics. Blue and White also had trouble making much inroads, while Meretz has a foothold in many Arab and Druze towns, but one that rarely passes 10%.